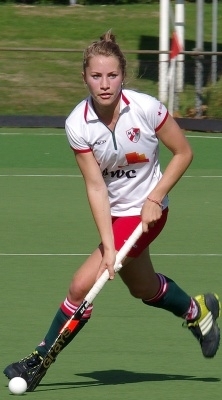 About Shona: A third year business student and top-level sports athelete at Tilburg who has been selected for England’s National Hockey team. I chose to study abroad because the opportunity to further develop myself as a person and experience an international lifestyle intrigued me. Tilburg University was also very appealing as it meant I could play top-level sport and also study a degree at the same time. Core sports at Tilburg are field hockey and rowing. How would you rate the assistance of the university before you arrived (the application process, finding accommodation, sorting out financial matters)? The application process was quite straightforward – I completed the application form, wrote a letter explaining my reasons for wanting to study at Tilburg, and sent in my grade certificates. I found accommodation and sorted financial matters independently with the Tilburg hockey club that I play for. They helped me with this so I didn't use the university service. How would you rate the assistance of the university when you arrived (Arrival Days/orientation etc)? The arrival days were very informative and the student introduction week (known as TOP week) was great fun. There was a lot of relevant information on courses, materials and the university campus. It was really useful to have a mentor-buddy who could answer all my questions. Did you feel prepared when you arrived? I did feel well-prepared when I arrived. How would you rate the learning environment (teaching style, studying with other international students, non-native English speaking lecturers)? All the lecture rooms are well-equipped and the learning environment is a friendly and inclusive one at Tilburg. One the whole the teaching is good … sometimes it can be quite daunting if you are in the minority in a lecture with lots of Dutch students. This is all part and parcel of studying abroad though and is something I’m getting used to now I’m living in Holland. Would you recommend studying abroad to a 17-18 year old Brit who might never have thought about it before? Definitely! It’s a fantastic opportunity to meet fellow international students, find friends-for-life, discover different cultures and an exciting environment in which to develop personally and experience independent life away from home. It is also much, much cheaper than the UK – something which it is very important to consider these days. Is there anything you wish someone had told you at the time you applied? I wish someone had persuaded me that it would be far better to live in Tilburg on campus rather than commute to the university – something which I did for my first two years. Would you recommend your course at Tilburg, the university, and city to British students? I would definitely recommend the course and the university. The course is relevant, interesting, varied and suitable for everyone looking to have a career in business. With the majority of international student living on the university’s TalentSquare (the city centre campus), all the facilities and benefits of student community life you could possibly need are to hand. There’s a great feel about the university and being part of its student community. There is also a student association called I*ESN Tilburg which organises events and activities specifically for international students.